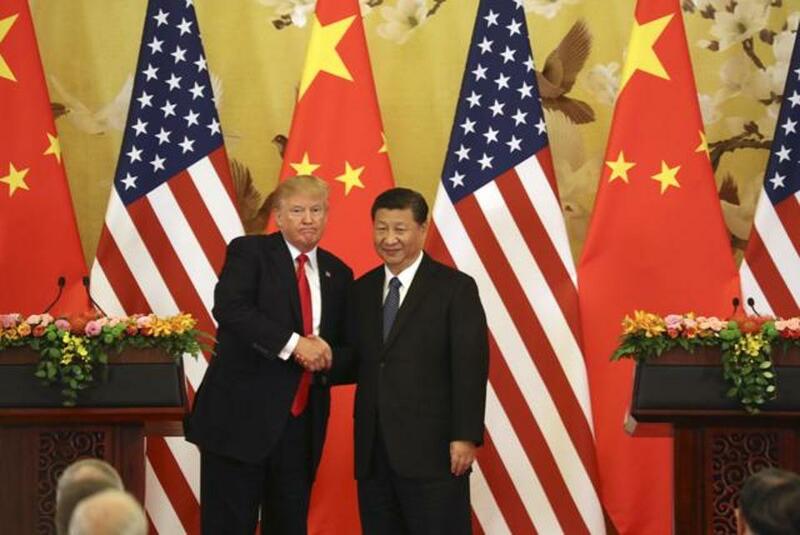 Wednesday 8th of November marked the 4th day of US President Donald Trump’s 12 – day Asia trip and his much anticipated meeting with China’s President Xi Jinping. A variety of trade deals were signed that day aimed at bringing the two countries closer together. During his presidential campaign back in 2016 President Trump made clear that trade would be one of his focus areas, promising to tear up NAFTA and TPP due to them being ‘worst trade deals ever’ and targeting China’s defensive tariffs. Almost a year later he embarked on a 12 day trip to Asia with hopes of securing new trade deals for the US. His visit to the Chinese capital, Beijing, ended with over 19 deals signed with a combined total of $253 billion. Trump has always been vocal on the way trade has been managed under the old office in the past decade. He didn’t approve of it, calling out each and every decision he thought was wrong. “We are going to stop the ridiculous trade deals that have taken everybody out of our country and taken companies out of our country, and it’s going to be reversed,” he said while signing the withdrawal from TPP earlier this year. Caterpillar Inc. and China Energy Investment Corp. The US – China trade relationship has evolved largely in the past decades. Since the 1970s two countries have been building upon their relationship, even though striking a healthy trade balance was challenging due to both countries growing rapidly over the years. Eventually, China overrode the US in terms of trade, however, the US still remains the larger economy out of the two. Some can say that during his two terms Barak Obama wasn’t successful in pushing the relationship anywhere. Failed attempt to contain the rise of China and questionable policies such as deploying 60% of US’s air and navy force against China brought bad reputation onto him . Perhaps this time, having Trump and his extensive business knowledge leading the country, the US can get it just right. Although these deals do seem like the new and exciting opportunity for strengthening US – China relations and reducing the trade deficit, it is not that simple. The majority of the deals are non-binding, which means they may not even go ahead or the ones that do may collapse at any moment. Some of them have been on the radar for years and by signing them now, the US is simply giving China what it always wanted. For instance, one of the first deals signed was the Chinese investment of $100bn in US energy projects which China was after since 2005, but was previously denied. Thus, China finally got the desired deal 12 years later. Another example is the US chip maker Qualcomm establishing a $12bn deal to supply components to Chinese smartphone brands. However, besides the deal being non – binding, Qualcomm already has more than half of its revenue coming from China, which leads to believe that this is no more than organic growth. It’s not clear whether these deals are going to solve the US trade deficit, which is stated to have reached $347bn last year as stated by the US Census Bureau. What is clear, however, is that Donald Trump has changed his mind about China since his presidential rally. Back then he wasn’t fond of the current situation, blaming China for taking advantage of the US, calling them ‘thieves’. Yet, he recently spoke about it, saying he respects China for doing what is good for the country, even if it means taking advantage of another partner. Whether this new radical approach can help fuel the rebirth of the US – China trade relationship and actually make a difference is uncertain, but the foundations for organic development were laid down. Working this close with China will hugely benefit the US as it can develop its weakest areas with China’s help and in turn China can expand its investment further overseas. If you import from China, read our Trade Finance Global China guide here.